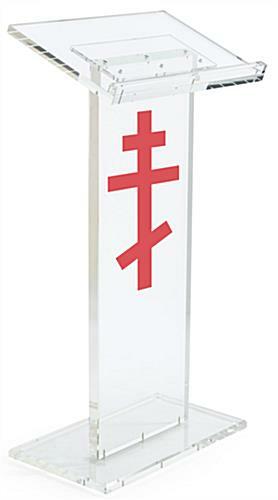 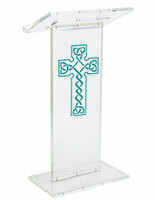 This podium in wood and acrylic makes a striking statement in a church or religious-affiliated school, at 45.5"h. Beautiful clear stands such as this lectern can be placed near the altar, and will draw audience attention forward. 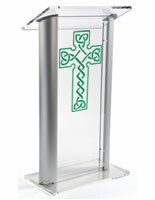 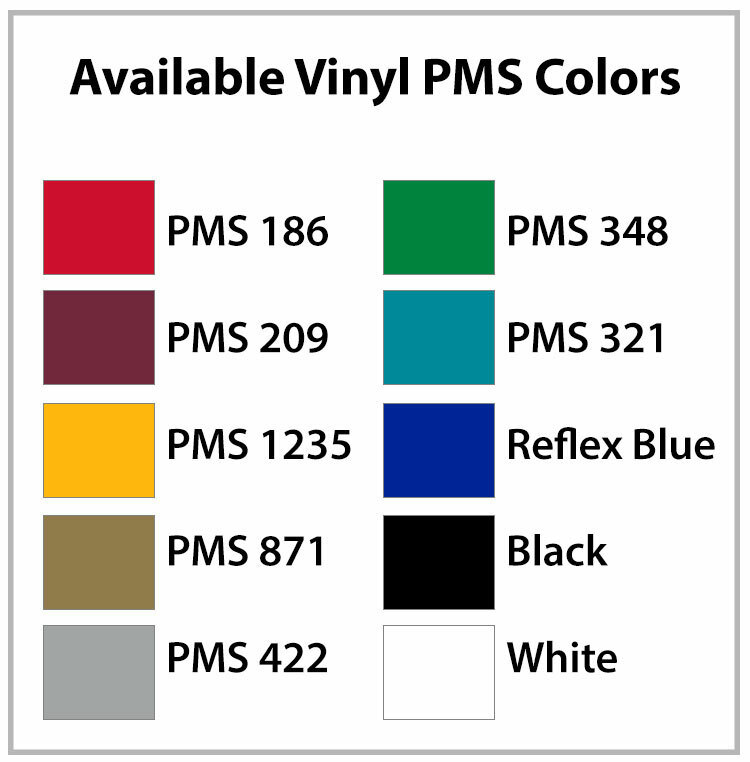 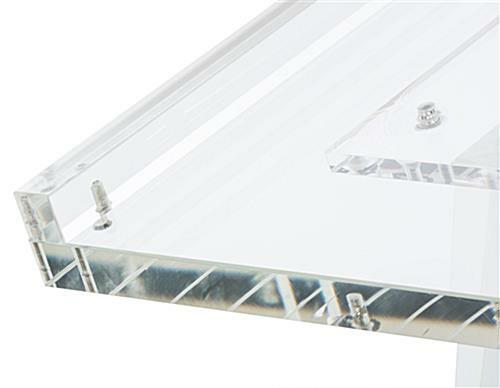 This podium in wood and acrylic features a vinyl imprint with 10 color stock vinyl choices. 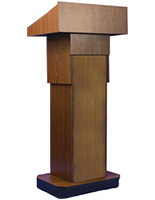 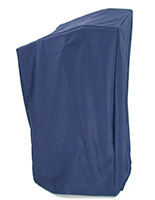 This tall pastor stand ships with cleaning cloth and solution provided. 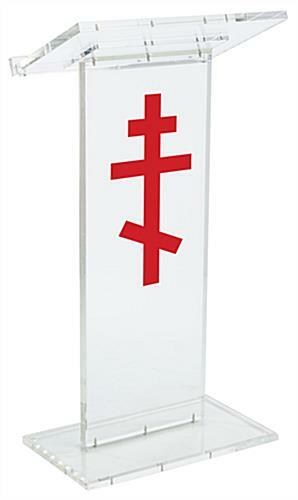 This podium in wood and acrylic with a 14" x 24" imprint that depicts an Orthodox cross is an elegant, yet inexpensive church fixture.